This was a studio-based exhibition of ceramic sculptures made from local clay found on the UBD campus and nearby Berakas Beach Recreational Park. The exhibition was intended to be a teaching model for Dr Geiger-Ho's ceramics and sculpture students, as it used her pottery and also a special teaching display in order to introduce the concept of using found clay rather than processed clay. 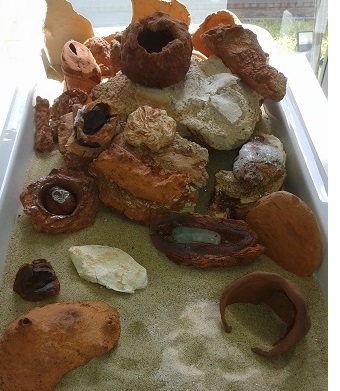 One of the exhibits showed some of the materials that can be gathered on campus and at the beach in order to make ceramics. 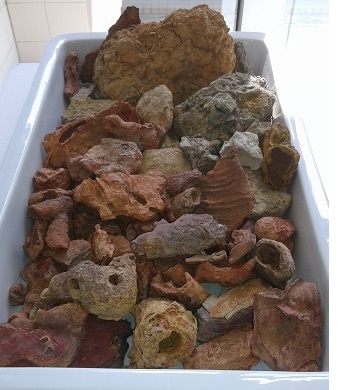 The left tray shows raw clay and materials for making pottery. They were all gathered on campus or from Berakas Beach. 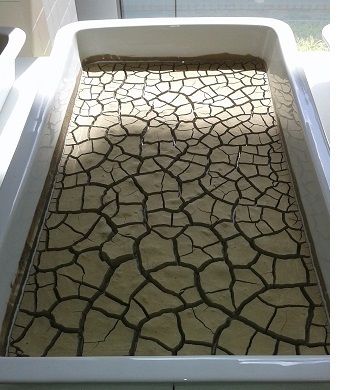 This may look like a dry river bed. However, in fact it is dried clay that has been processed for use in the studio for the production of pottery. The right tray holds an array of experimentation materials. 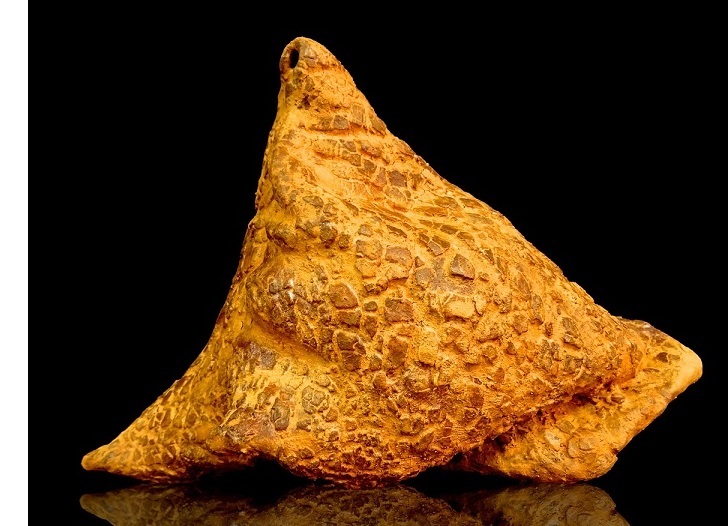 Without carefully planned and controlled experimentation, a ceramic artist cannot predict the outcome of the chemical interactions of the clay with the other materials.